Primal strength begins with the foundation of borrowing movement patterns from creatures other than humans. Crawl like a bear and slither like a snake, you’ll find yourself breaking breathing patterns which will make the heart rate climb. Full body functional movements that will strengthen muscles and joints and improve mobility. 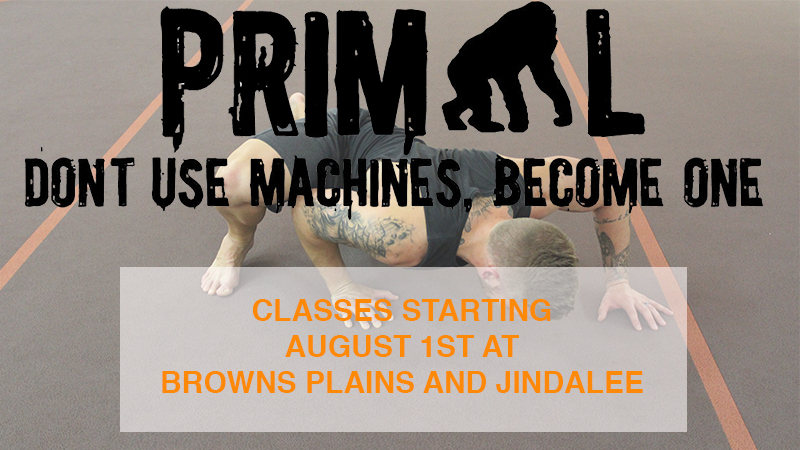 Primal was developed working in conjunction with a number of health practitioners to provide overall health benefits while keeping the body in a safe position. All movements have the option to be scaled up or down depending on your own fitness Level.